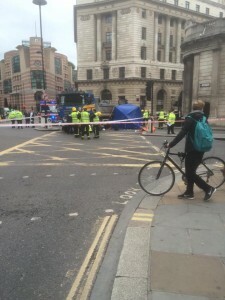 Within 36 hours, two people cycling in London were killed: Ying Tao, 26, was killed in a crash involving a tipper truck whilst she was cycling near the Bank of England in The City of London on the morning of Monday, 22 June 2015; On the Sunday, Clifton James, 60, was killed in a collision involving a car in Harrow whilst he was cycling home. MONDAY 29 June 2015 at 5:30pm. Location: Bank of England, Bank junction, City of London (EC4N 8BH). 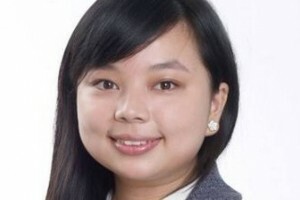 Ying was the 8th person killed in London whilst cycling; of which 6 have been women and 7 involved a lorry. 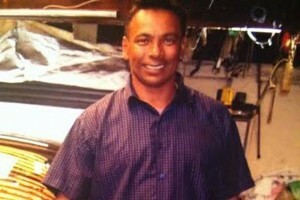 Clifton was the 50th person killed whilst cycling in the UK. Our deepest condolences go to both families and their friends. Maybe she could have taken a different route; maybe she could have got a different job somewhere else; maybe she could have lived in a different city with good, bike-friendly infrastructure as standard or restrictions on HGV road-use. Maybe. We need action on HGVs from City Hall. Or we need to take it ourselves. Before they take more of us. thank you for the work you’re doing, it’s campaigners like you that have really made the progress (less than we’d like yes, but still progress) that we are seeing. It was a huge privilege to have been part of the team of amazing volunteers who staged last night’s Stop Killing Cyclists Die-In. 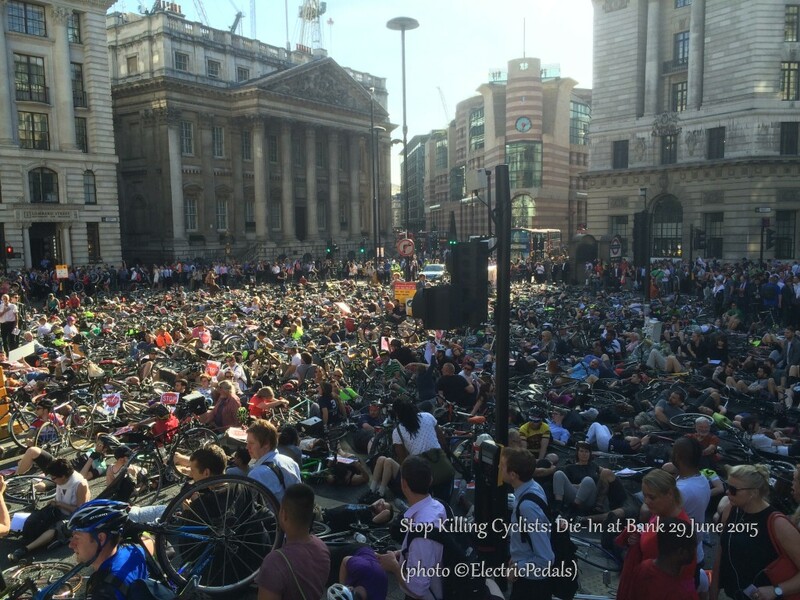 This image is the one we dreamed of making that would send out a powerful loud silent roar across the world, from the historic centre of the City of London, that we want our Mayor and Boroughs to make London’s streets fit for humans. 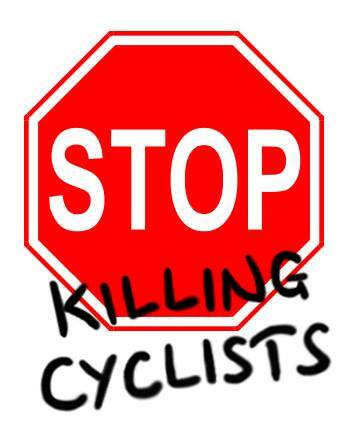 Stop Killing Cyclists is simply a bunch of passionate committed volunteer grass-roots activists, with no professional staff, no professional organisation – not even a bank account!! This was tragically the SEVENTH Die-In they organised this year! Nicola Branch – co-organiser and amazing MC and does great sensitive work liaising with the families of the bereaved. Abby Taubin – co-organiser – who managed all the logistics yesterday in getting the PA system, banners, placards, white bike etc etc to and from the Die-In. Andrew D Smith – sorted out beautiful flowers and great sax! Tom Kearney supplied sombre angry poem and is amazing campaigner who will close Oxford St. Lap Chan and team from London Beer Bike Group – who did great marshalling of the traffic. Paul Brocklehurst who ensures all broadcast media coverage goes up on our Stop Killing Cyclists You-Tube channel. Stop Killing Cyclists members – who tweeted and facebooked – we have no media budget so totally dependent on them getting the message out about event. Everybody who turned up after work on a roasting hot day, to contribute to creating this powerful image – many of you have attended nearly all the sad Die-Ins organised already this year. We have no press team so dependant on you guys to ensure this silent roar gets heard! We want our peaceful cycling revolution not in 2030 but now!! and from all of us in Living Streets branches a HUGE well done to all. We represent pedestrians but most of us are keen cyclists as well and we are with you 1000%. We need to let the Mayor and local Councils (particularly Westminster) know that we are just not prepared to allow this continual slaughter on our roads to continue. 3) naming the benefits cycling gives to everyone. That is an incredibly powerful image in the heart of the city. It is the mark of a civilised city to be safe for people who cycle and walk, these are the vital life blood of a liveable city. Please politicians work positively to nurture and protect, prioritising active travel, give breathing space to all those who walk and cycle and to those who would do if they were given safe space. We are all joining up the dots to make this happen. Tonight I felt what it was like to lie on the hard concrete ground of a busy London junction. I hope to never experience that again and will support this campaign in every way I can. Thank you to all the inspiring speakers today. (there was a Flash Ride on Wednesday 24 June 2015 by London Cycling Campaign; there was an impromptu protest by people cycling with Critical Mass on Friday 26 June; and there was our protest on Monday 29 June 2015). and All of Us Now Cry. And Our Lords of Transport Casually Lob Another Lip-Service Safety Lie. It is Now a Dark Winter of Dread. I now live in Manchester an cycle frequently an even here we are ignored on the roads – we place ghost bikes at places where a cyclist has been killed as a permanent reminder .